For most of us, Christmas is a time of cheer, festivities and relaxing with friends and family. However, for those facing a cancer diagnosis, it can be a difficult time of the year. While the outcome of a diagnosis may not yet be known, feelings of confusion, anger or grief may surface. Even when there is a high chance of recovery, it is natural to feel scared of the unknown. At this time of year it is especially important to be honest with yourself and those around you about how you wish to celebrate Christmas. Those close to you will be understanding, however if you don’t say anything they may make assumptions about how you feel. You may need to emotionally prepare to feel different over Christmas, physical side effects like fatigue and loss of appetite might reduce the amount of Christmas fun you normally have, while mental effects such as fear and worry may also be overwhelming. Allow yourself time to work through everything you are feeling, verbalising it can help. For many, practical and financial worries may start to surface. A cancer diagnosis can affect the family economy. Extra costs related to transportation to and from treatment, possible accommodation for loved ones near hospitals and potential loss of income from giving up work, can have a knock on effect over the Christmas period. Big C has Welfare Rights Advisors that can help you find out if you are eligible for any extra income support. If you are already in treatment, check with your healthcare team to confirm which treatments and appointments collide with the Christmas period so that you can plan ahead. Some treatments can be postponed over Christmas, so feel free to ask your consultant or specialist nurse if there is a chance for that to happen and any potential risks associated. If you are on medication, take stock of your supply to ensure you have enough for the festivities. If you are out celebrating, keep your emergency contacts in a list with the best ways to contact them. If you are planning to celebrate Christmas as usual, but you are worried about it being ruined by experiencing side effects from your cancer treatment, ask your doctor beforehand. There is probably some specialist advice or extra medication that can be prescribed to help when you feel unwell. Lastly, remember you don’t need to do everything on your own, ask for help – even if you are a person that never asks for help! A cancer diagnosis means this year is not like the others, so if needed someone else can cook or go and do the shopping. You may be experiencing symptoms and emotions that require your attention this Christmas and that’s totally fine. 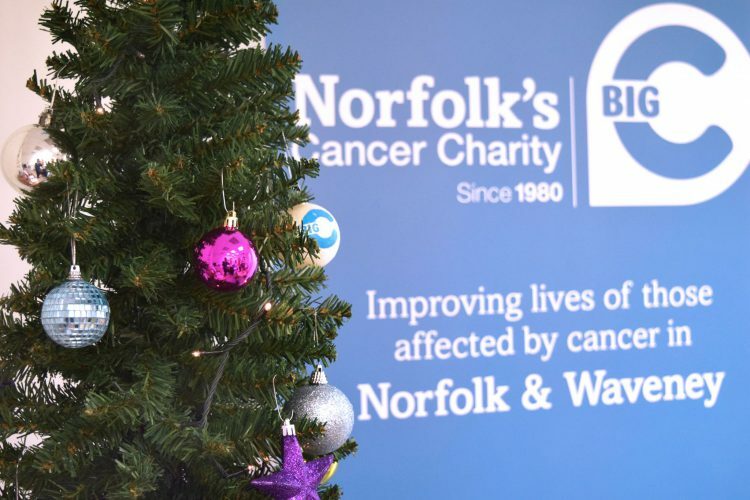 If you or a loved one is struggling to cope with how they are feeling this Christmas, please get in touch with Big C.
The Big C Support and Information Centre at the Norfolk and Norwich University Hospital (NNUH) is open normal hours (9am – 4.30pm) on December 24th, 27th, 28th and 31st. On December 25th, 26th and January 1st the Centre will be shut. The Centre at The Louise Hamilton Centre in Gorleston, the Great Yarmouth Centre and the King’s Lynn Centre will be closed from December 24th until January 2nd.